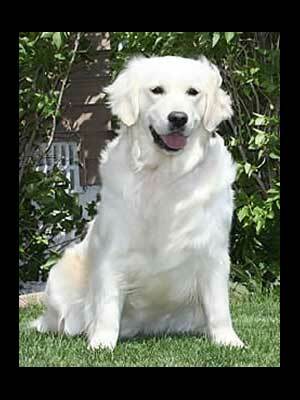 Our 4th Generation (Female) 96.6 lbs. 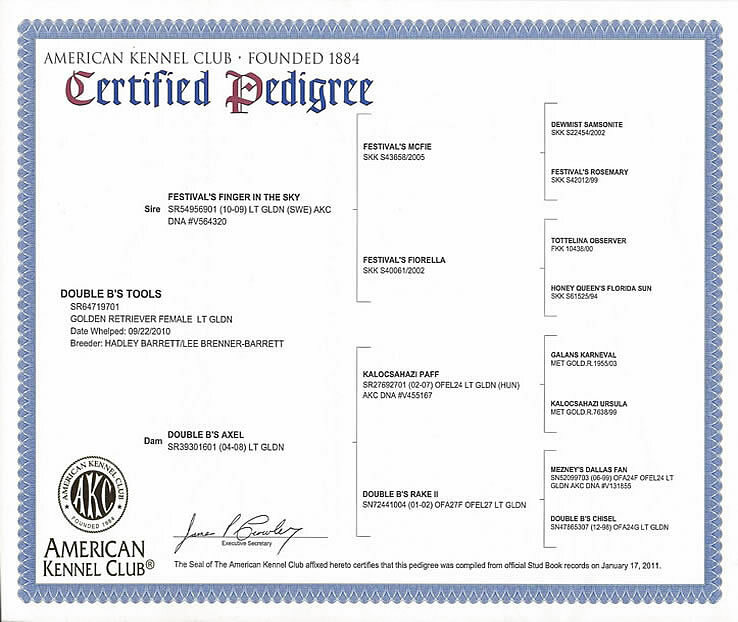 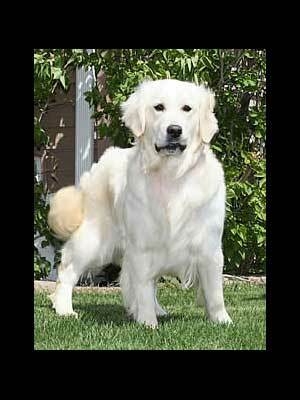 Tools was bred by Double B Goldens preserving one of our first breeding bloodlines. 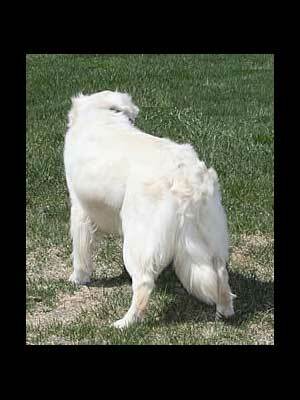 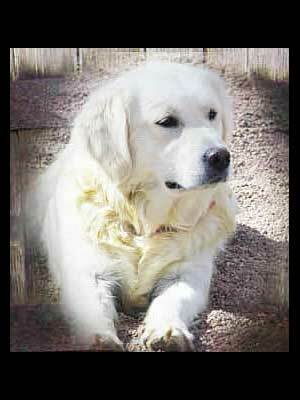 Tools has the coveted beautiful white color, and predominant bone that most European Golden’s have. 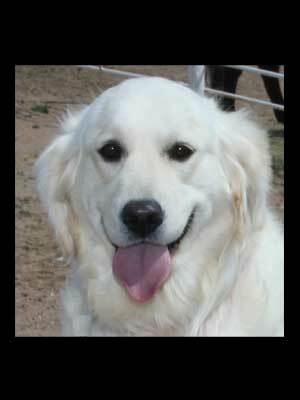 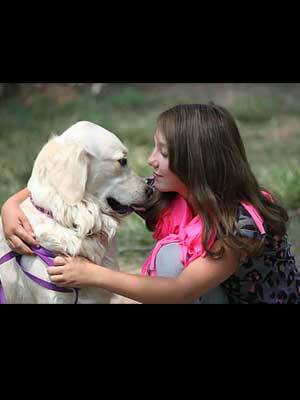 She has an incredible gentle nature for babies and small children and has that Golden Retriever smile of happiness. 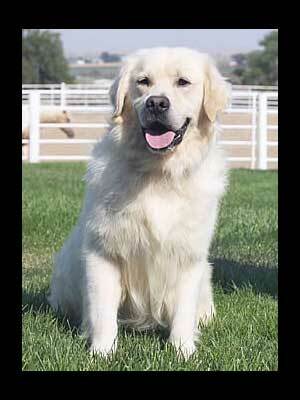 Sire: Festival's Finger In The Sky "Locker"